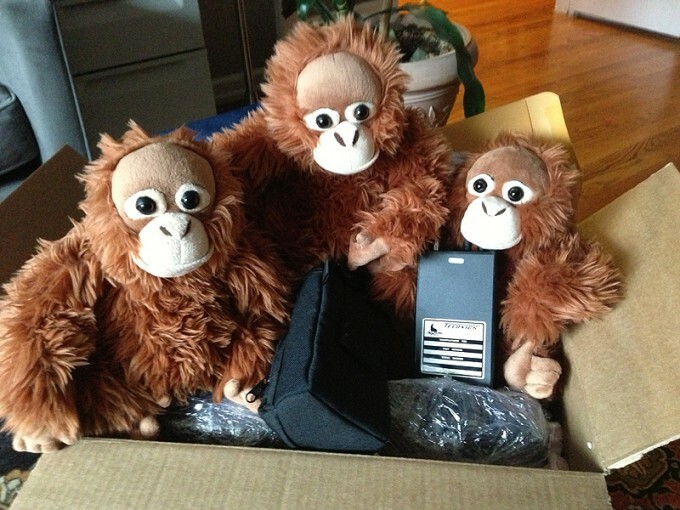 Orangutan Outreach interns testing the monitoring gear. Thanks to the generous support of our donors, Orangutan Outreach has been able to make a valuable contribution to the BOS Nyaru Menteng Orangutan Release Program. 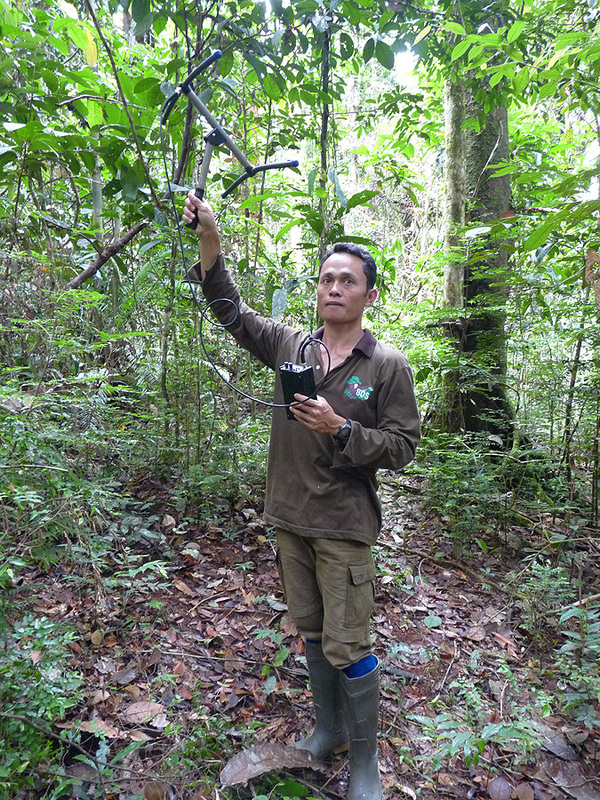 In March 2013 we were able to provide the BOS Nyaru Menteng post-release monitoring team with a set of new radio tracking receivers. 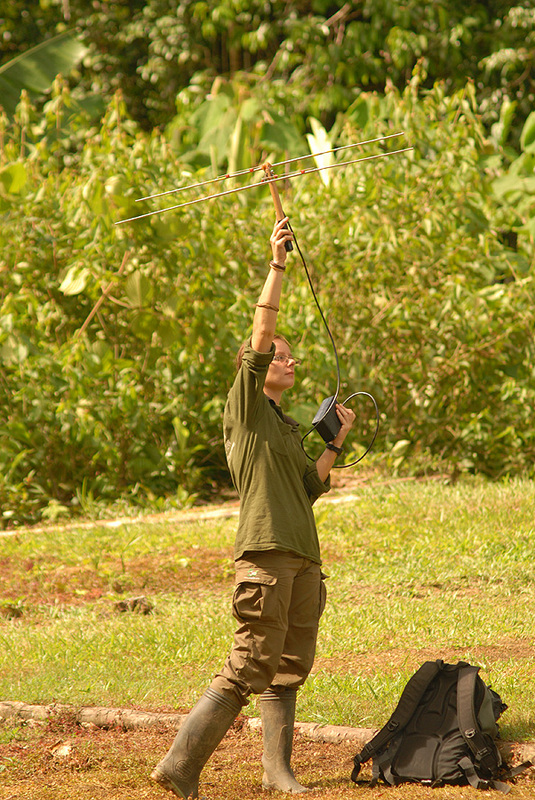 Releasing orangutans is no easy task. The logistics and costs are quite daunting. 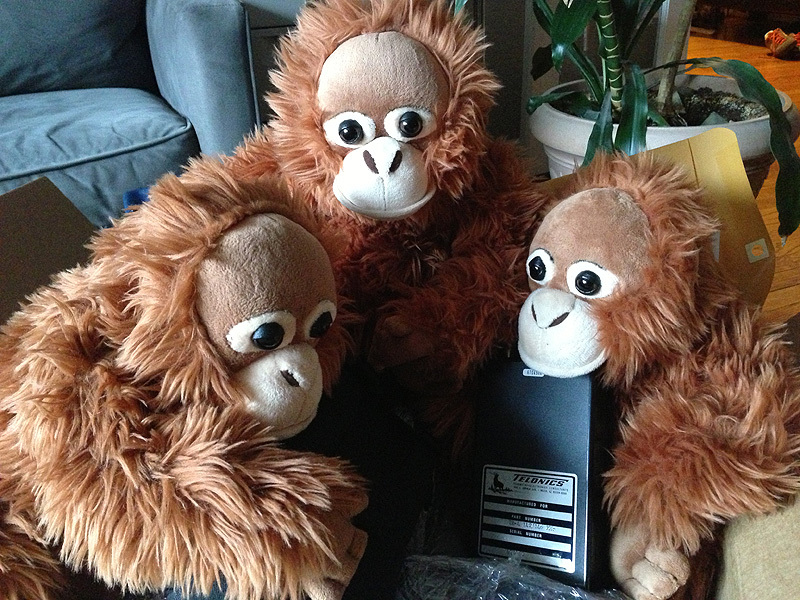 We'll be detailing the whole process in coming weeks as we establish a special Orangutan Release Fund. For now, we want to concentrate on one aspect of the release: Post-Release Monitoring. 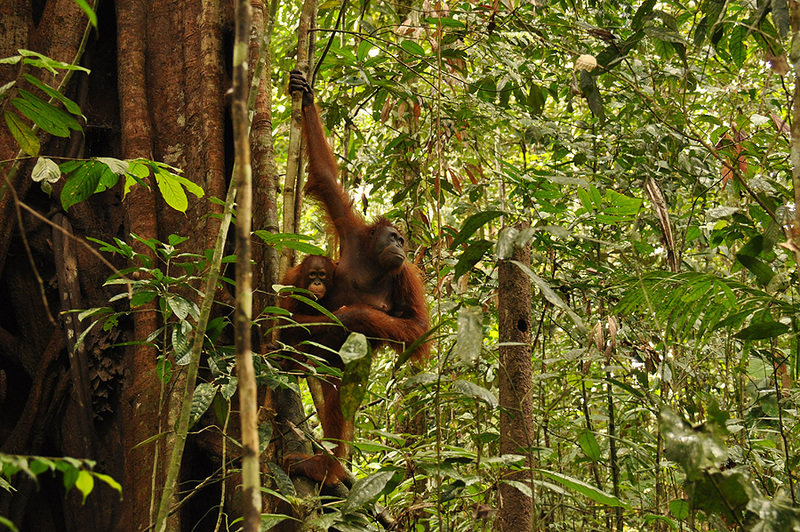 When the orangutans are released into the forest, the story doesn't just end there. The crew doesn't just pack up their gear and head home. 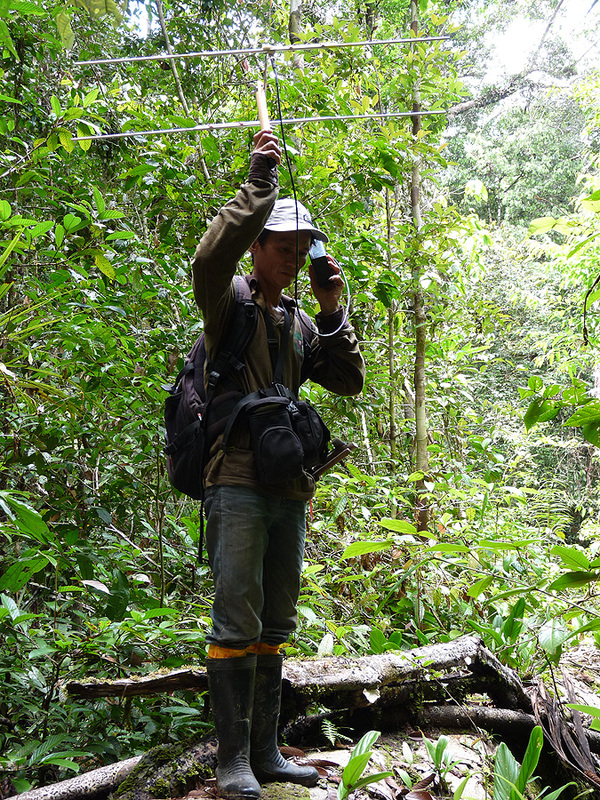 BOS leaves a team of trained professionals in place to track the orangutans, monitor their progress and make sure they are able to survive in the forest. 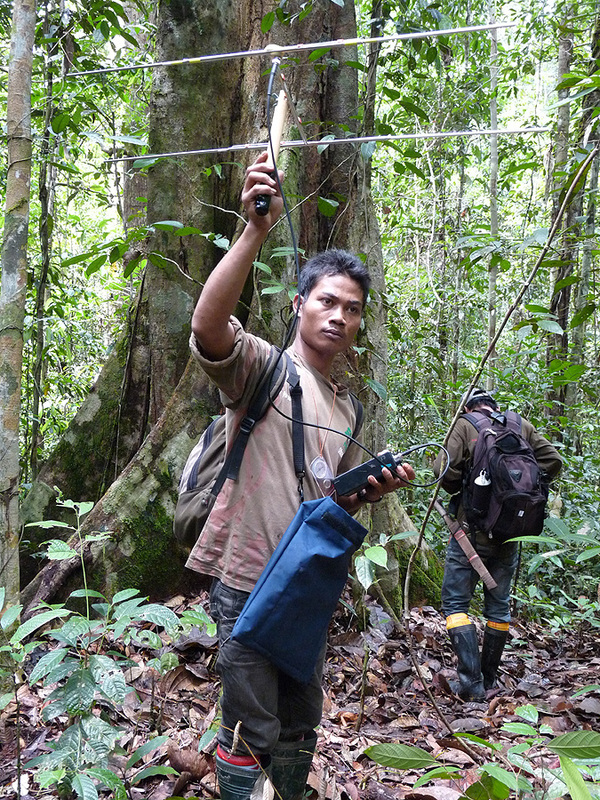 To do this they rely on sophisticated electronic monitoring equipment-- and given the wet, humid, tropical nature of the forest, this equipment takes a serious beating. Consequently, it often needs to be repaired and replaced. That's where YOU, our amazing donors come in! Because of YOUR generosity we were able to bring a new set of Telonics radio transmitters to the center for immediate deployment! These radio transmitters are not cheap. Please make a contribution to help cover the next set! Orangutan Outreach interns satisfied with the monitoring gear. Volunteer Anna Marzec in action.